Led by a Greek Orthodox priest, Arab Christians within Israel are increasingly seeking to enter the country's military despite opposition from other believers and Muslims. The movement is spearheaded by an organization formed by Maronite Catholics and a spiritual adviser, Father Gabriel Naddaf, the Times of Israel's Elhanan Miller reported. At the same time, Israel Hayom newspaper indicated on Friday that Muslims affiliated with the Palestinian Authority and foreign Arab governments have joined with Christians who disagree with Naddaf and the Forum to counter their efforts. His role in providing guidance to the Forum for Drafting the Christian Community has subjected Naddaf and his family to harassment, isolation and even death threats. He is married and has two adolescent children. Israel Hayom reporter Daniel Siryoti wrote, "When they walk in the streets in public, they are showered with epithets and expletives. Petitions have been signed denouncing them. Among the signatories are the representatives of the (Greek Orthodox) Patriarch, Theophilus III." Naddaf has had the tires of his car punctured and a bloodstained rag laid at his doorstep, according to Miller. He has also been prevented from entering the Church of the Annunciation in Nazareth. Naddaf was summoned to a disciplinary hearing this week by Theophilus III in Jerusalem. The priest was allowed to keep his job, but the patriarch asked him to tone down his public statements on behalf of conscription. 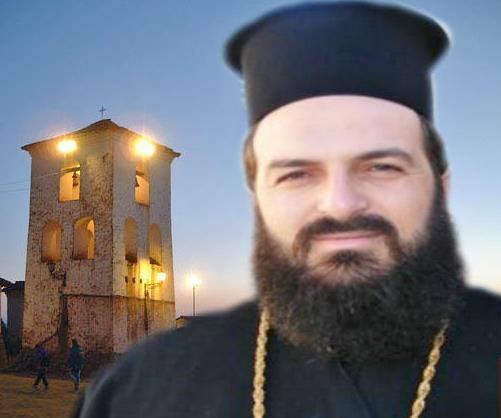 "The patriarch told Father Naddaf that he is not an opponent of the state of Israel, " said Shady Halul, one of the close associates of the priest, according to Commentary magazine. "On the contrary, he is very appreciative of the security enjoyed by Christians in Israel. He did ask Naddaf to tone down his statements concerning his work with the forum so as to ensure the safety of Christians in the Palestinian Authority and the Arab states. " Miller said in his Times of Israel report, "Regardless of religion, for Israeli Arabs - who are exempted by law from military service - deciding to join the IDF is very much a taboo. "But for the Christian minority within Arab society, shaken by the Arab Spring and its Islamist undercurrents, that reality is beginning to change, though most of the soldiers in active service remove their uniform before coming home on leave." There are over 130,000 Greek Orthodox and a few thousand Maronite Christians in Israel, a country with a population of 7.7 million. Most of these Christians are located in Nazareth, Haifa and Galilee, with a scattering in the Jerusalem area, according to Israel Hayom reporter Daniel Siryoti. Nadaff told Siryoti before he was ordered to not speak publicly, "We want young Christians to become totally integrated into Israeli society, which also entails shouldering their fair share of the burden of national service. "Our future as a Christian minority is intertwined with that of the State of Israel. We want to give more to society and to contribute our share just like others do. "We want to connect with Jewish society in Israel," he said. "We feel secure in Israel. We see ourselves as citizens with equal rights as well as equal responsibilities and obligations. " Nadaff said that most young Christians view Israel as their country. "This is the decisive period," he said. "If your youths see that Israel is fostering the Christians' engagement with Israeli society, then the world will spread forth. But if the state turns its back on us, the inciters will win." Siryoti said in his report that "there are only a few brave Jews" who support Nadaff. Israel's deputy defense minister is one of them. The minister, Danny Danon of the Likud Party, had said Tuesday that Israel must help Arab Christians who choose to serve in the military. Danon cited the controversy surrounding Nadaff, according to the Algemeiner newspaper. His bureau issued a statement which said that his ministry would take a determined stance to counter anyone who incites against and threatens those who want to integrate into Israeli society. The Forum also has the backing of Im Tirtzu, an extra-governmental organization which says it is group formed to promote Zionist values within Israel. It was created in 2006 by a group of Israeli intellectuals, students and IDF reservists, and is active on college campuses. "We believe that military service is the best entry ticket into Israeli society for those who see themselves as part of it," Amit Barak, who heads Im Tirtzu's policy and media department, told The Times of Israel. "What these people are doing is not evident in Arab society. They should receive our backing. " The Times of Israel noted that 90 Arab Christian high school graduates have joined the IDF in recent months. Miller said that the number "may seem like a drop in the bucket considering the total number of 130,000 Arabic speaking Christians in Israel" but that it is a threefold increase compared to 2010.